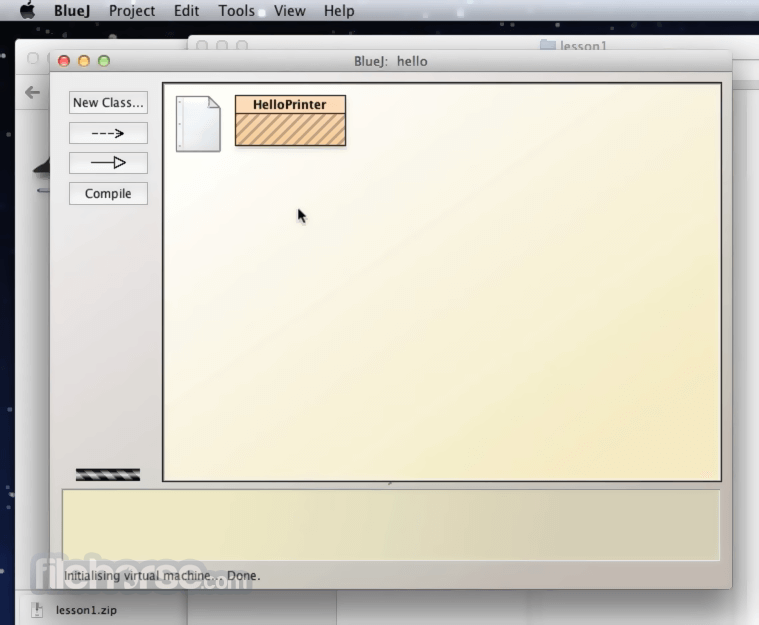 Simple - BlueJ has a deliberately smaller and simpler interface than professional environments like NetBeans or Eclipse. This allows beginners to get started more quickly, and without being overwhelmed. Designed for teaching - BlueJ is deliberately designed with good pedagogy in mind. There is a popular textbook designed for teaching introductory university/college courses with BlueJ, and a site full of teaching resources. Interactive BlueJ - allows you to interact with objects. You can inspect their value, call methods on them, pass them as parameters and more. You can also directly invoke Java expressions without compiling. Thus BlueJ is a powerful graphical shell/REPL for Java. Portable BlueJ - runs on Windows, Mac OS X, Linux and other platforms which run Java. It can also run without installation from a USB stick. Mature BlueJ - is over fifteen years old, but continues to be updated and supported by a full-time team. We aim to respond to all technical support requests within one working day. 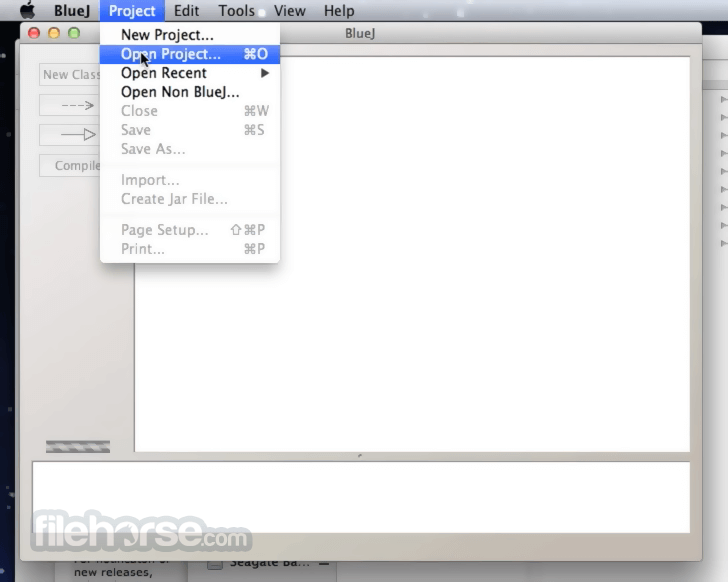 Innovative BlueJ - has several features not seen before in other IDEs. Its object bench, code pad, and scope colouring were all original BlueJ features. BlueJ's editor features unique scope highlighting, where the background of each code block is coloured to allow you to visually scan the code much faster. It also helps in spotting misplaced curly brackets. Objects can be inspected while the program is running. 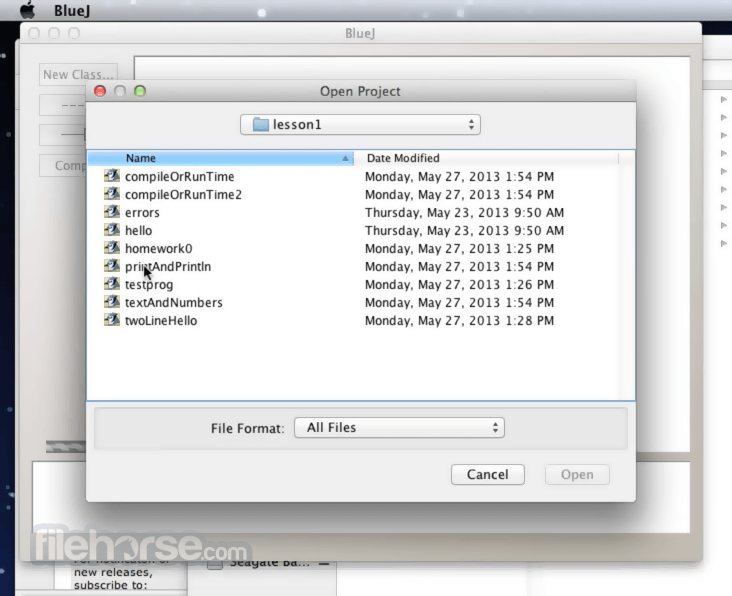 The contents of fields are displayed to aid understanding and debugging. As well as allowing inspection of objects while the program is running, objects can be dynamically created, and their methods can be invoked. You can also invoke Java code directly, without compilation, just by typing it in. The result is printed out, and can then be inspected, manipulated, or passed as a parameter to another method call. Note: Requires Java for Mac and 64-bit processor.